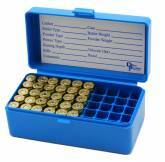 Practical and sturdy ammo boxes, will hold 50 rounds in various calibers. Theses boxes are designed to be long lasting and durable, and are practically indestructible. The latch closes firmly, preventing accidental opening in transit. 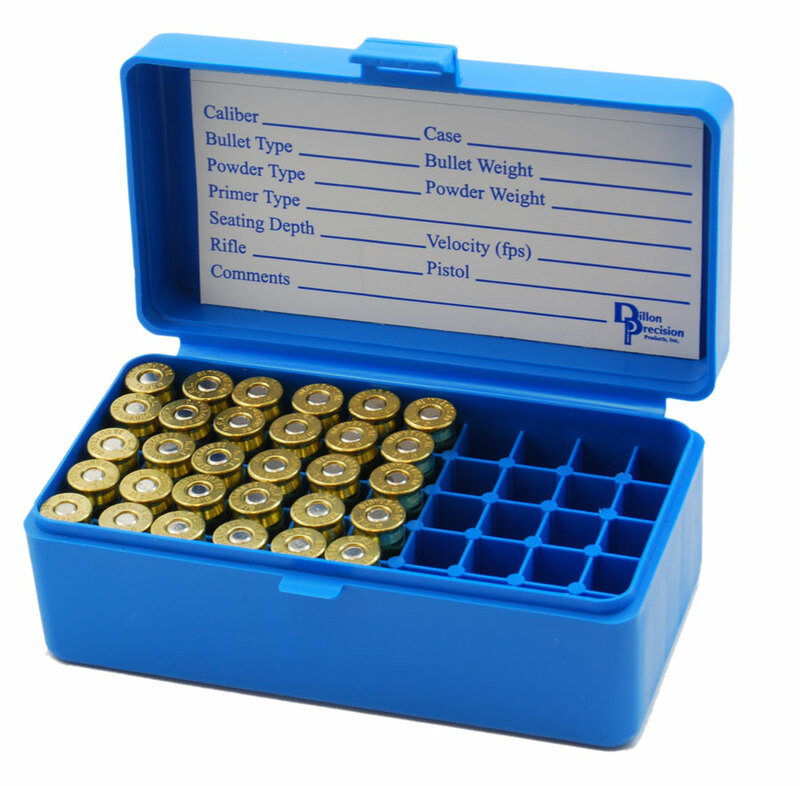 The boxes are designed to stack, making them a convenient means for storing ammo as well.